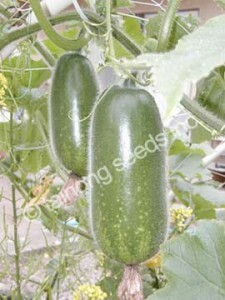 Mao Gua 毛瓜 | Tainong Seeds Inc.
Long, medium green fruits with white speckled spots and fuzzy coat. Fruits are bottle shaped, ~8 inches long and ~3 inches thick. Many female flowers for high harvest. Glossy dark green fruits with white speckle spots with fuzzy skin. Fruits are barrel shaped, ~6 inches long and ~4 inches thick. Long bottle shape Mao Gua. 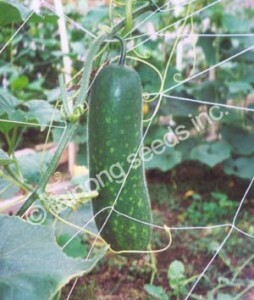 Medium to dark green color with white spots. Length is 15 ~ 18 inches long and 3 ~ 4 inches thick.